Janet Harrison English, a 2009 inductee into the RE/MAX Hall of Fame, provides her clients with a uniquely fact-filled perspective on the real estate market, thanks to her background in print journalism. She’s analytical and candid, and she’s a wellspring of information about house selling, buying and pricing – and about traffic, schools, economic growth and community affairs. It’s led her to become a consistent top-selling agent serving the Spanish Fort, Daphne and Fairhope suburbs of Mobile, Alabama. Raised in New Orleans, English is a graduate of the academically lauded Benjamin Franklin High School in New Orleans, and holds a journalism degree from Louisiana Tech University, having also attended Baylor University. What’s more, she has plenty of experience in moving from one place to another. She knows the pressures involved. As a young teen, English lived a year each in California and Canada when her father, a professor, served sabbatical assignments. As a young reporter, she worked for daily newspapers in Mississippi, meeting her husband, Dewey W. English Jr., also a journalist. Their son, Jack, was born in 1990. The family came to coastal Alabama in 1994, then moved to Louisville, Ky., in 1998, then back to the Mobile, Ala., area in 1999, as her husband pursued his newspaper editing career. Janet, meanwhile, charted a new career for herself, obtaining her real estate license in 1998. English’s professional credentials include a host of sales awards, but more important to her are the friends and clients whom she’s helped along the way. 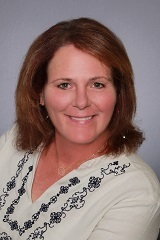 She is an Accredited Buyer Representative, Certified New Home Specialist, and Certified Distressed Property Expert. Past soccer, football and band mom in the Spanish Fort schools. Member of several local tennis leagues.